Exploring canopy structure influences the vertical and spatiotemporal distribution of snow, utilizing the Advanced Canopy-Atmosphere-Soil algorithm (ACASA), a multi-layer soil-vegetation-atmosphere numerical model. Simulate the effect of different snow-covered canopy structures on the energy budget, and temperature and other scalar profiles within different forest types in the Sierra Nevada, California. See Research Tab for more information!! 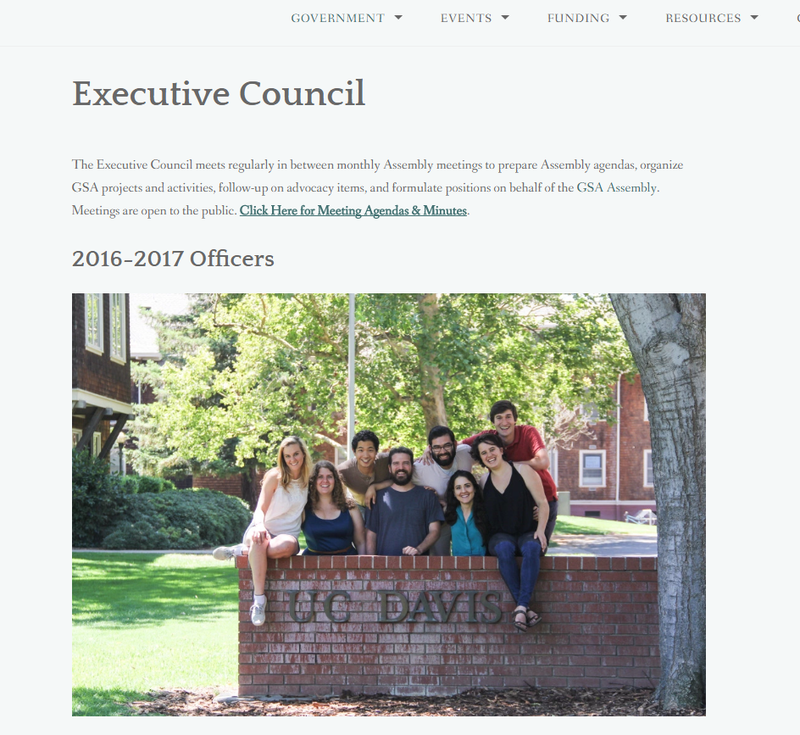 Manage applications and delegation of money for student activism funds, as well as plan and host wellness events for graduate students. 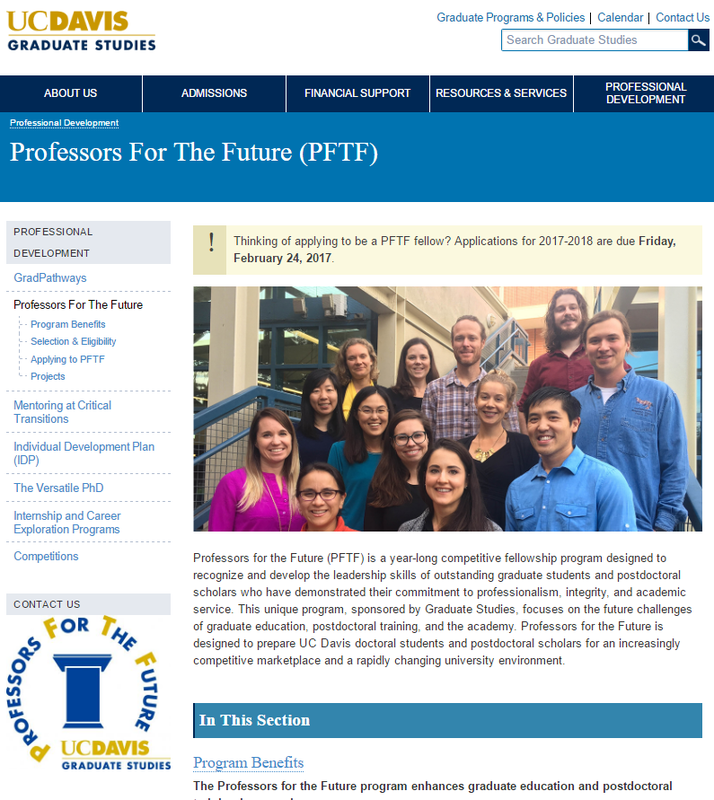 A yearlong fellowship that focuses on creating a project that addresses a problem or concern faced by graduate students and/or postdocs. elected project is mentorship for undergraduates interested in graduate school. The project is designed to help guide undergraduates without any access to resources such as first generation students. 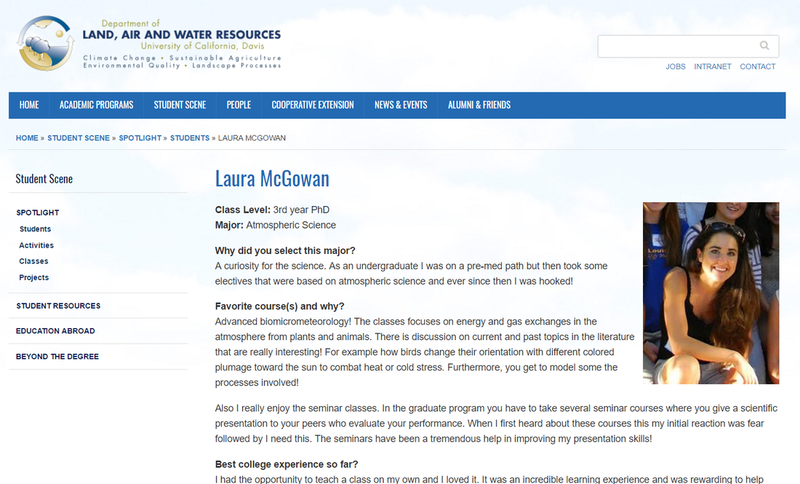 The program pairs environmental science undergraduates to current graduate students in LAWR to get a firsthand perspective on graduate school. The students are advice on topics including but not limited to the admission process, research, classes, and extracurricular activities. Volunteered as a mentor the first year. Took over this program as a co-president the second year. Work includes appropriately pairing students, holding workshops on what it means to be a mentor, organizing events between mentors and mentees, making and maintain a website for the program, yearly evaluate the program, work to improve program based on survey, and solicitations for participants. The SLEWS program takes high school students from Yolo County and the surrounding region and exposes them to watershed restoration in a number of field days throughout the year. Responsible for helping groups of students participate in hands on learning with activities like planting native species, bird watching, and journaling. Connects classroom learning with real world to enhance education. Have worked with Davis, Sacramento, and Alpine High Schools.